When Alan Lawrence found out that his son had Down Syndrome, he didn’t take it very well. Inspiration struck when he saw his son, Wil, crawling one day. He looked like he was about to take off flying. 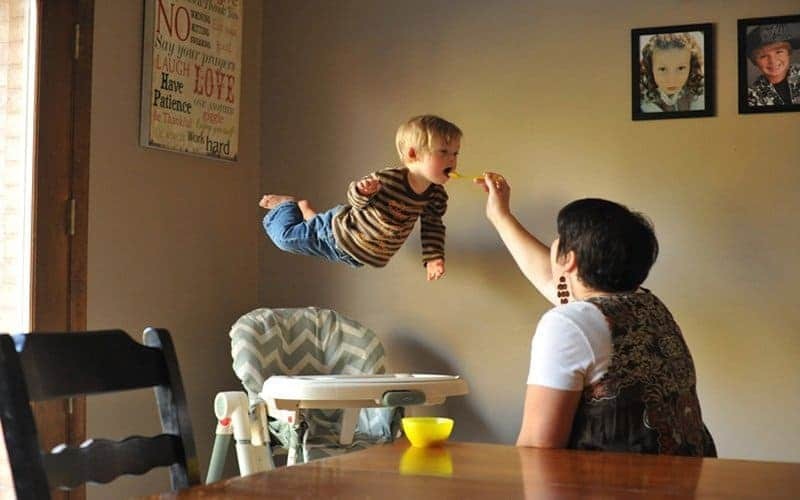 To promote Down Syndrome awareness and to inspire and empower families facing disabilities, Lawrence created a photo series showing his 18-month-old flying. Here are ten of the most amazing pictures. The rest can be seen on his Instagram account, thatdadblog. Wouldn’t You Fly With That Landscape? 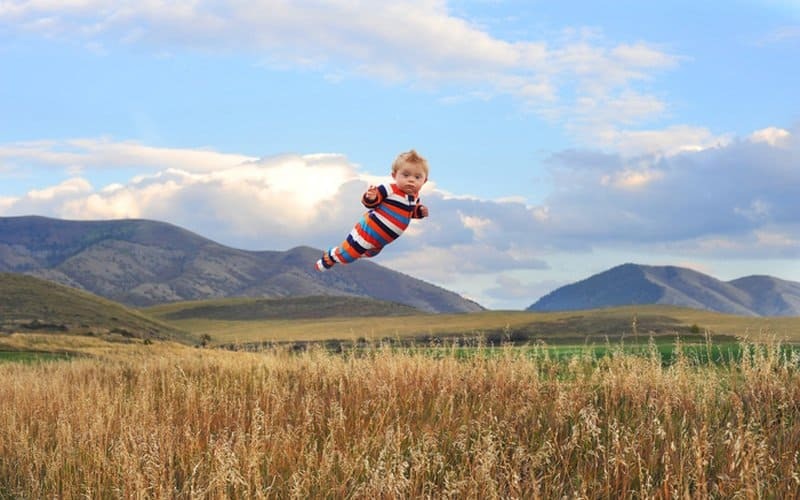 Wil flies in dreamland where it’s so pretty it can’t possibly be real. 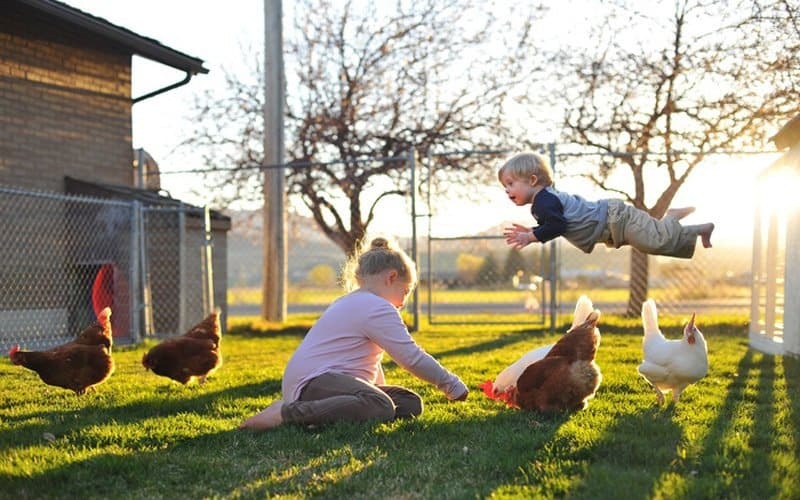 Chickens can’t fly but Wil can. Those chickens must be jealous. What do 18-month-olds dream about? 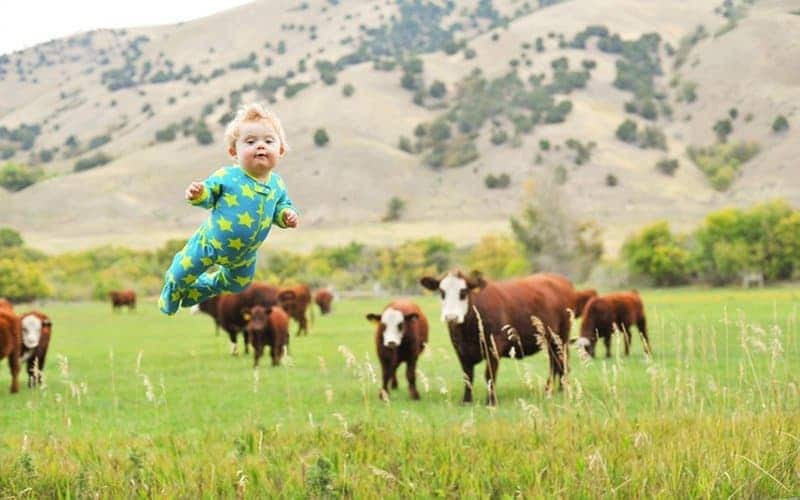 Cows? Why not! While Dad has to keep both feet on the ground, Wil soars through the air. 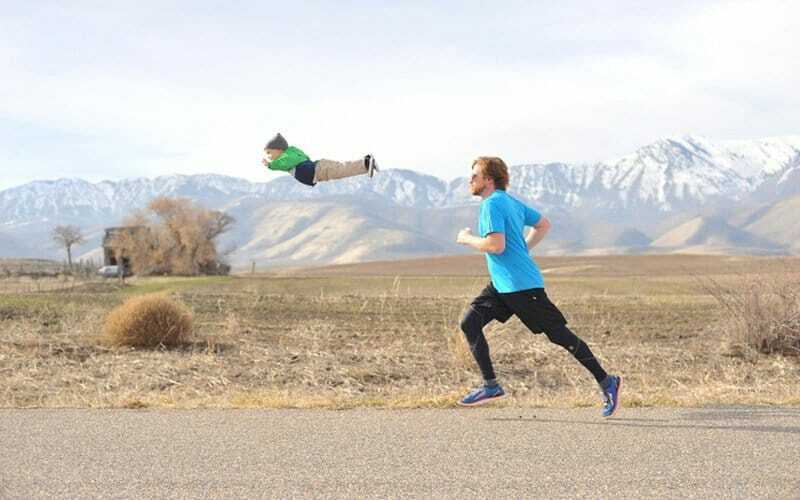 Flying must be easier than running! 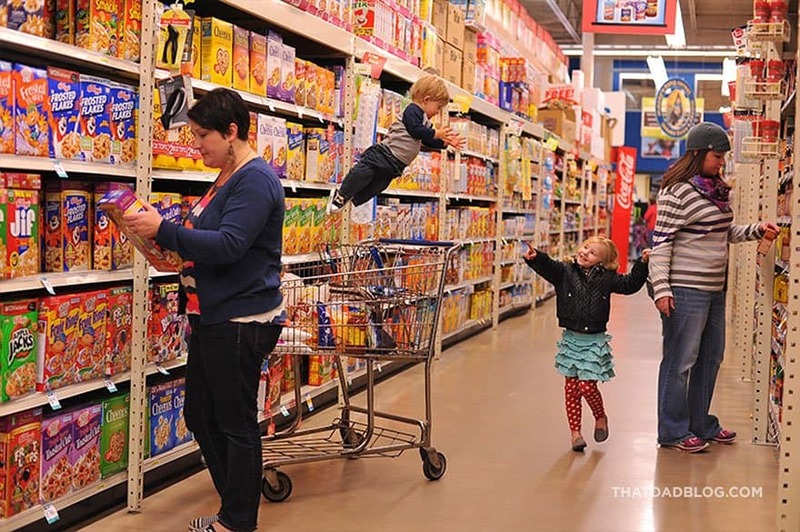 Taking a flying toddler to the grocery store can’t be easy, but at least he can be taught to grab stuff that Mom and Dad can’t reach. 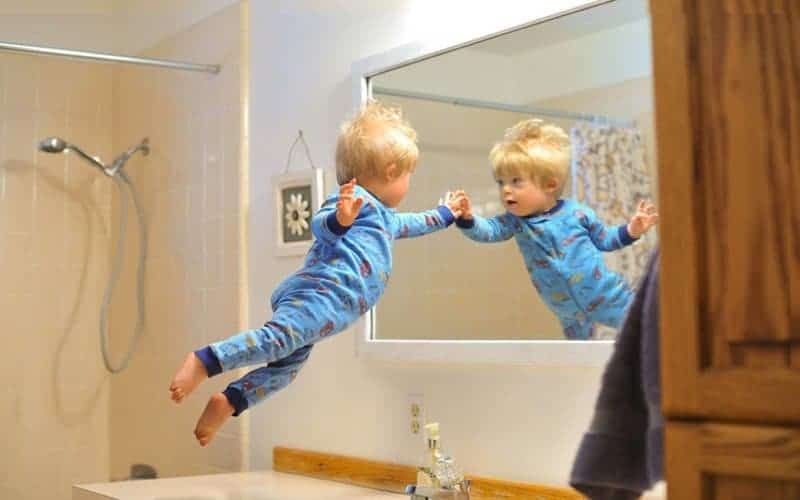 Wil looks in the mirror in shock that he’s flying. He thought something didn’t feel right. 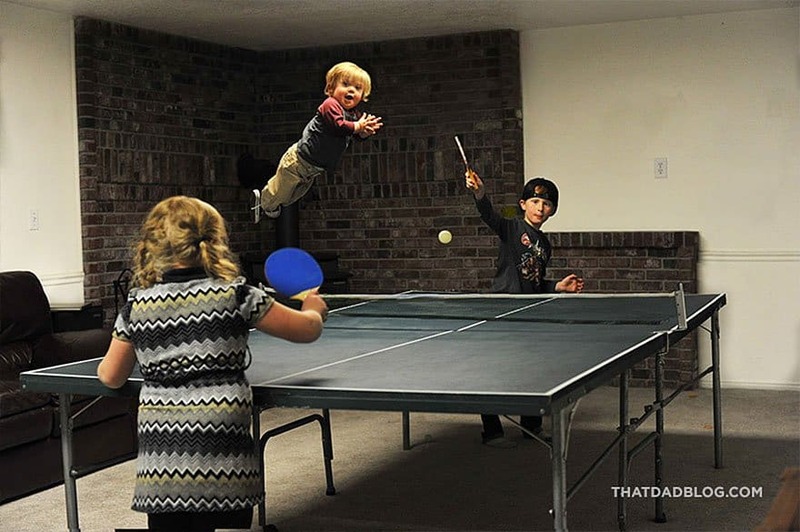 Flying over the table as his brother and sister play ping-pong, he must be awfully distracting. 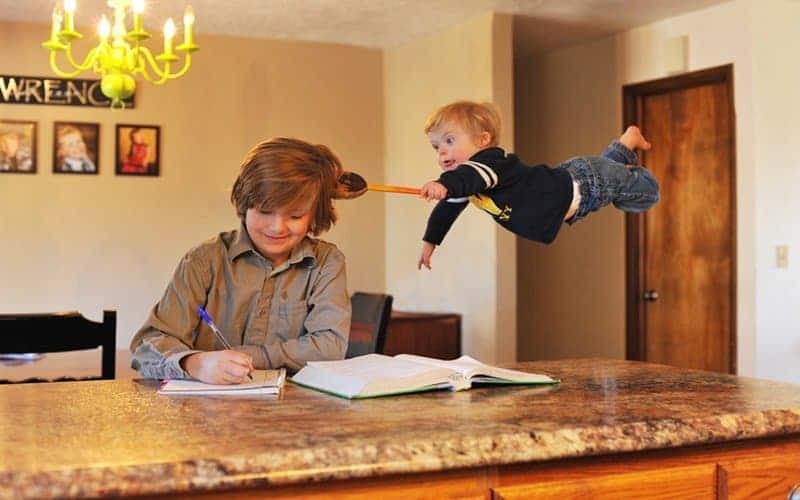 Every toddler does what they can to get attention. Wil is tired of being ignored by his brother. One way to get attention is to poke him with a spoon. 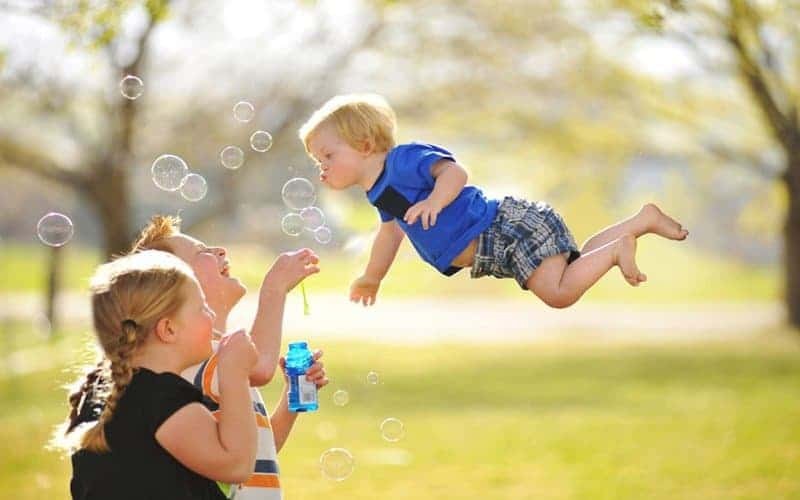 Wil floats with the bubbles, mimicking his siblings blowing on them. This lunch must be so good, as Wil is floating while eating it. It’s either that, or Wil is doing a fly-by.